So, in just a few days we will be packing up the car and driving to Minnesota to go camping with several friends. 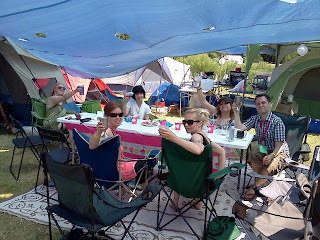 One of those friends is the author of the upcoming book Martinis and Marshmallows: A Field Guide to Luxury Tent Camping. When I say we're "camping" I really mean we are building a temporary village and spending a week in pure comfort, opulence, and bliss. This isn't camping. This is glamping. 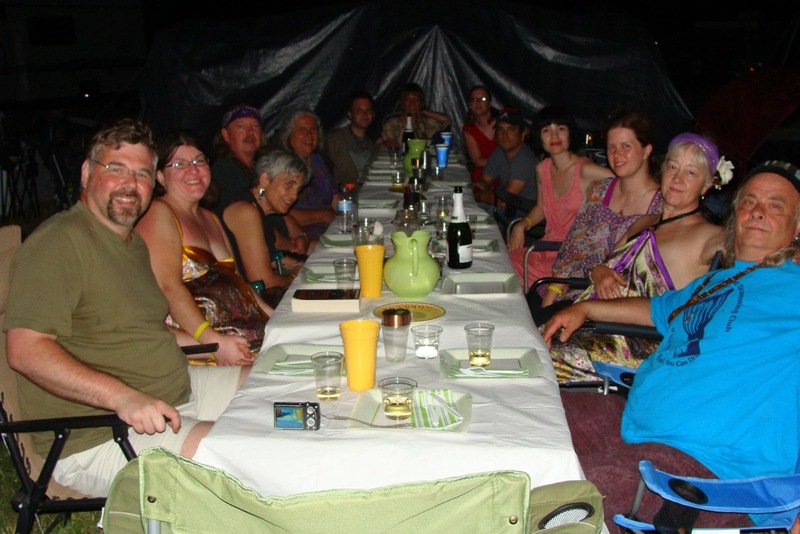 Photo from a Symposia - 7 course meal and conversation - that our camp hosted the last time we went glamping. Preparing for a glamping trip like this isn't unlike preparing to live in our tiny house. Of course, our tiny house is off the grid so our experience is very different from other tiny house dwellers. I have spent this last week gathering all of the things we need to set up our camp. I promise to get lots of photos. I'm really excited about our set up this year. For instance, many glampers will skip the sleeping bag and opt for luxurious linens for their air mattresses. We will often use plastic bins or drawers to store our clothes rather than a back pack. We make a lot of use of out door lighting. And, most importantly, don't forget 3 o'clock cocktails. I absolutely can't wait to head up to Minnesota with friends and spend a week in our own community that we will build with our own hands and enjoy together. 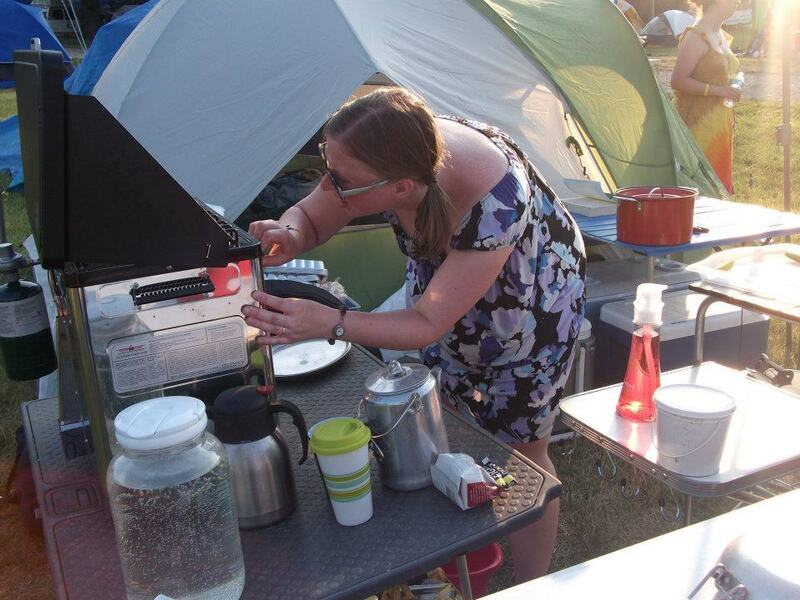 Me using our camp oven last year. I'm actually located in Minneapolis. How did this come about and do you guys ever allow newbies? Hi Kim. I was invited to this festival by friends. I believe it is a private event. I've been to different festivals around the country and some are small - around 150 to 200 people - and others can be nearly 2000. For example, there is a great event in Asheville twice a year called LEAF (Lake Eden Arts Festival) where you can camp and check out some amazing music.